Join us at the finish and celebrate with Parents Against Cancer (PAC) as cyclist cross the finish line. Enjoy music, bike vendors, food and beer garden. It’s the perfect way to end a ride! Then remove live entertainment and change live music to just music. 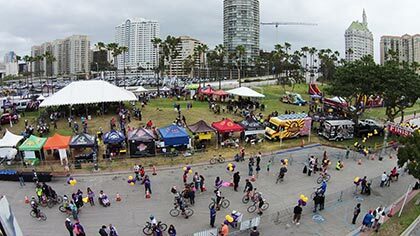 The Tour of Long Beach and its Finish Live Festival on Saturday, May 11 is regionally marketed to thousands of Southern Californians and appeals to cyclists of all riding levels and their families. The entire event benefits Parents Againts Cancer Foundation. This is the perfect place to showcase your business or organization to participants who will be spending the day enjoying the festivities. 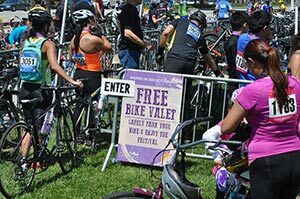 LOCAL BIKE SHOPS OR ORGANIZATIONS CAN GET SPECIAL PRICING – ASK LORIE OR JOSEPH FOR MORE INFORMATION!